Found this game yesterday and I'm really enjoying it so far. I gather the development folks seem to have let this game go and that's a shame. I will say that the developers have made this game and TWD fun to play in a way that I do not mind investing in my leisure but it is definitely not necessary to spend to play or win. That is a tremendous breath of fresh air after dealing with some other outfits. It is fun & youll b able to play it for a long time before you top out. Enjoy your Wild West adventure! Yes - upgrade only when you are easily taking them down in pvp - always a good guide. It means your troops are strong enough! 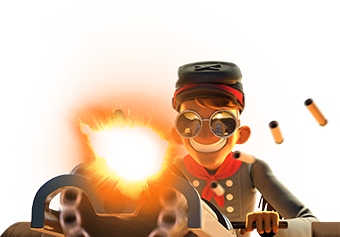 Be willing to change your deck too as time rolls along - what's strong in the beginning is not going to be the best at higher levels - for example - the Gatling gun - definitely a useful and strong card when you first get it --- not so much when you are at the high end. But it also is dependent on you- just keep trying new things. IT is a great adventure - growing in this game. Enjoy!